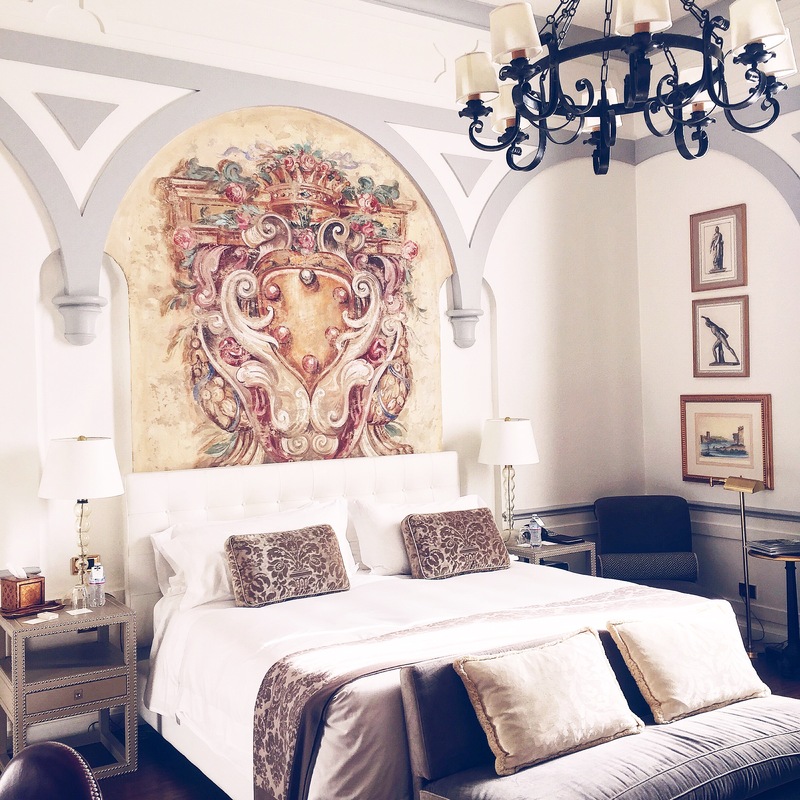 We spent our five days in Florence at the St. Regis, and I wouldn’t have changed a thing. 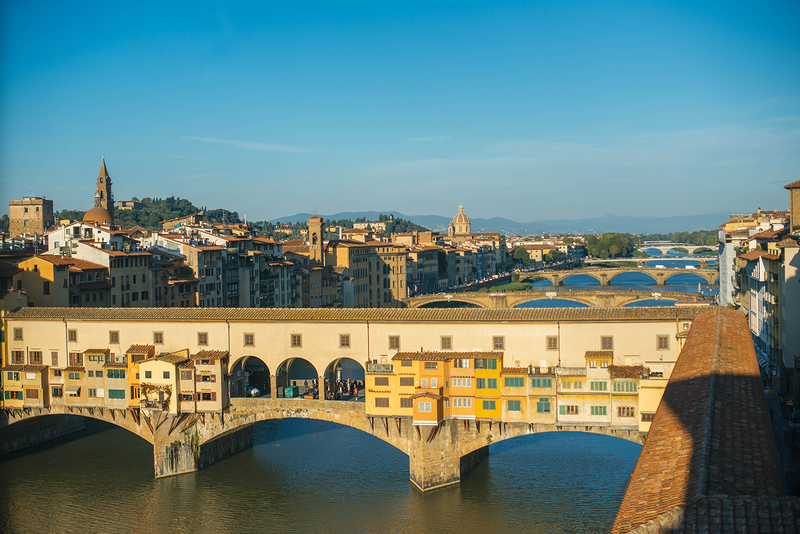 It is a magnificent hotel, just a 7-minute walk to the Ponte Vecchio. Far enough away to be out of the crowds, but close enough to walk anywhere. The service is always impeccable at the St. Regis, but this stay far exceeded our expectations with the butler service and extensive knowledge of the concierge. 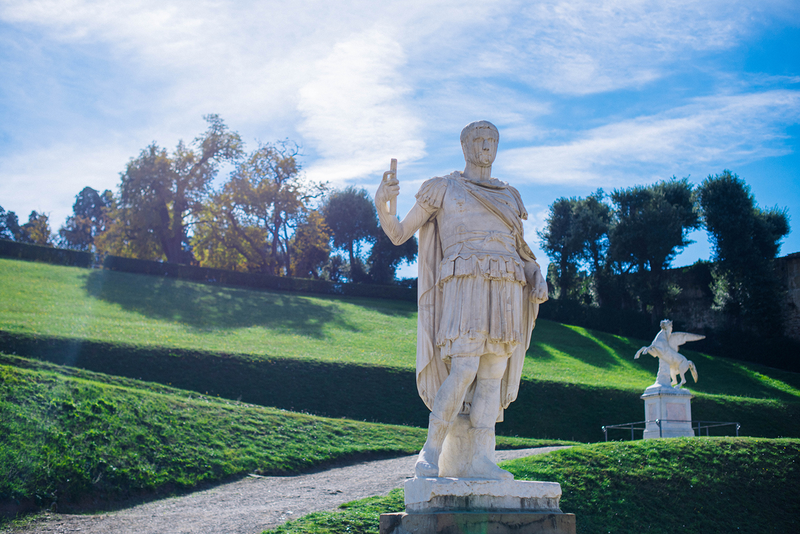 They helped us book the day trip into Tuscany and gave us lots of amazing recommendations! And did you see the room? (scroll down) – sigh… So dreamy! 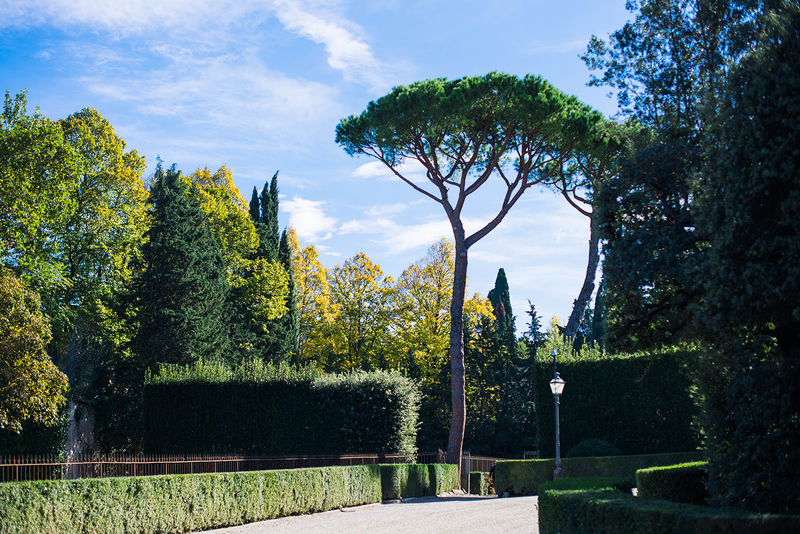 If you’re looking for something even further outside of the crowd bubble, check out the Four Seasons Florence or Villa Cora! 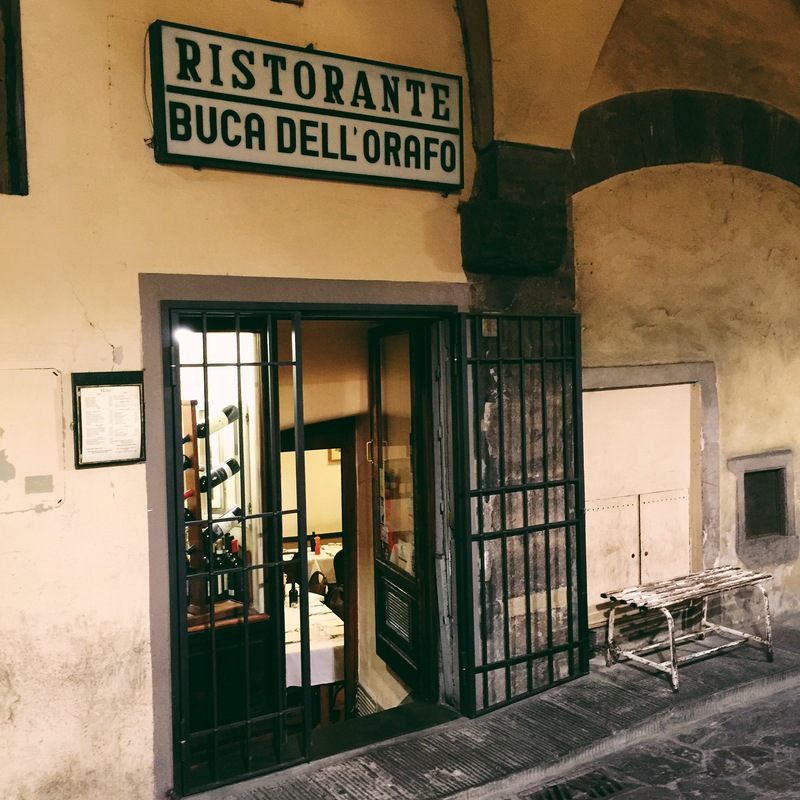 Our first night in Firenze was spent at a tiny hole in the wall, Buca Dell’Orafo. 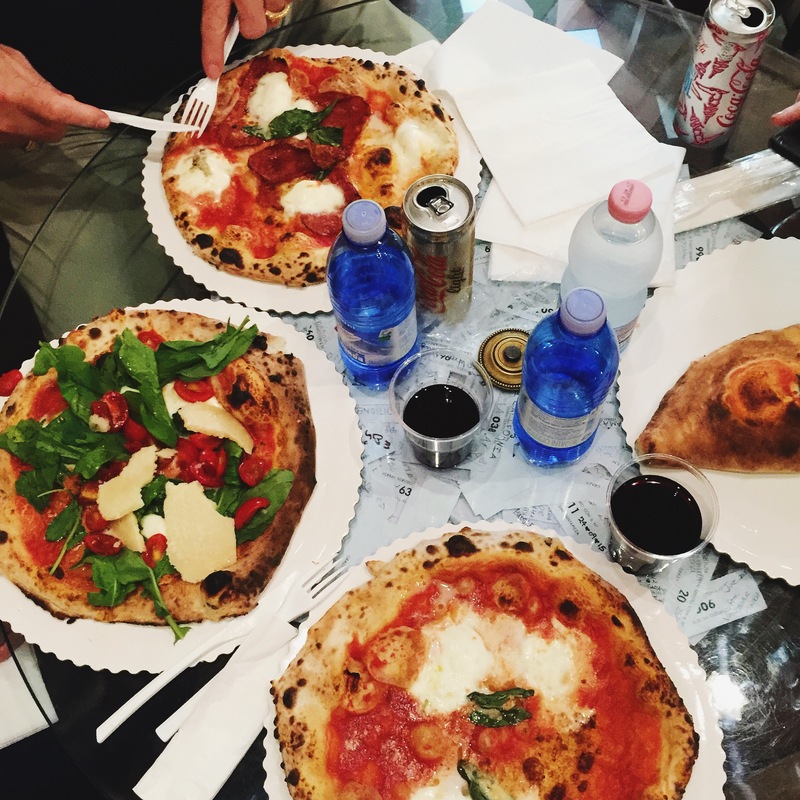 This is a traditional, family-run trattoria – so traditional, in fact, they don’t have menus with any English on them. Luckily, the waitress who served us spoke very good English and was able to give us some superb recommendations! It was the perfect spot for a casual bite! I started with the mushroom tagliatelle, which was so creamy and delicious, but didn’t actually have an ounce of cream in it! That means it was healthy right?… For my entree I had a beef filet topped with olive oil, rosemary and slices of cheese. Both were incredible! Highly recommend this spot for a real Florentine feel and homemade food. The day we ate at Ristorante Il Profeta, we had actually planned to go to another little bistro down the street, but my sister and I were not very impressed with the menu. With that, we walked around the corner to a slightly busier street to see if there were any other options for lunch. 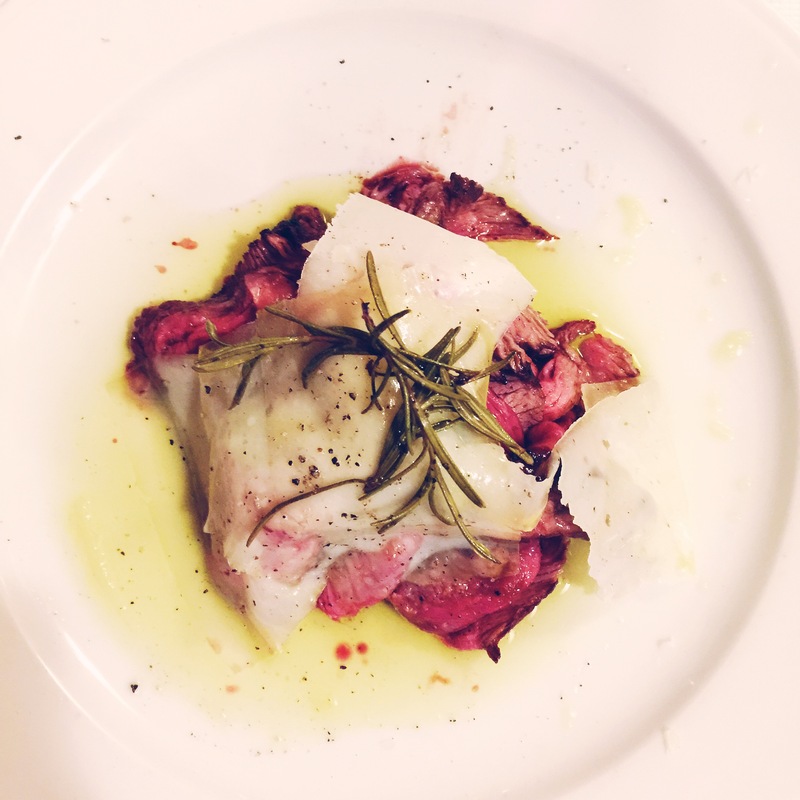 We looked at a few menus and stopped at Il Profeta – we’d found a winner! This was probably my favorite meal of the trip. The owner of the restaurant was so gracious and helpful, and to my delight, brought out a bunch of things for us to try (on the house). Needless to say we ate a lot of food. In addition to the vegetable platter and Tuscan sample plate, he brought us out bruschetta to taste the fresh olive oil. So good! For entrees, we all got pasta – I naturally ordered the one with truffle oil in it. So much flavor. In addition to the pastas we ordered, he brought a taste of their most popular pasta (a large tube-shaped noodle with a creamy tomato-based sauce. We also had a bit of a wine tasting, followed by a sip of Limoncello. It was definitely the heaviest lunch of my life, but the lunch was so fun and we were all full and happy at the end! If you’re moving slow one morning (having one too many glasses of wine the night before? ), Gusta Pizza is a great spot for a super casual lunch. There are only seven menu items, which makes for an easy selection. We each ordered a different pizza, allowing us to try a slice of each! Another amazing dinner we had was at La Giostra. 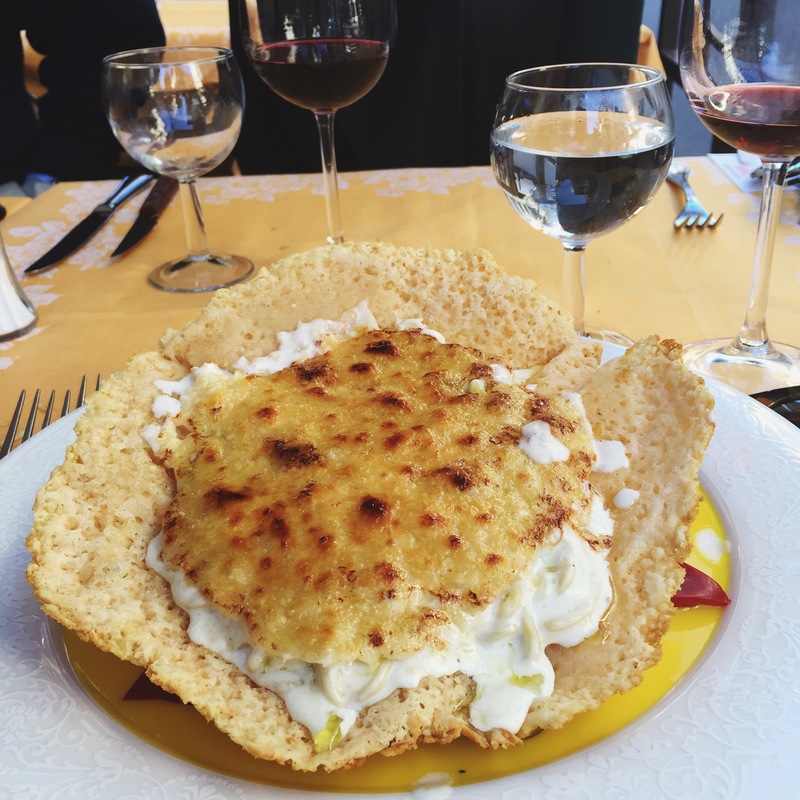 Similar to Il Profeta, they brought out a lot of really delicious things for us to try! We started with the fried artichokes (SO GOOD), and I ordered the asparagus carbonara for my entree. It was an outstanding meal! The free-flowing Prosecco didn’t hurt either. 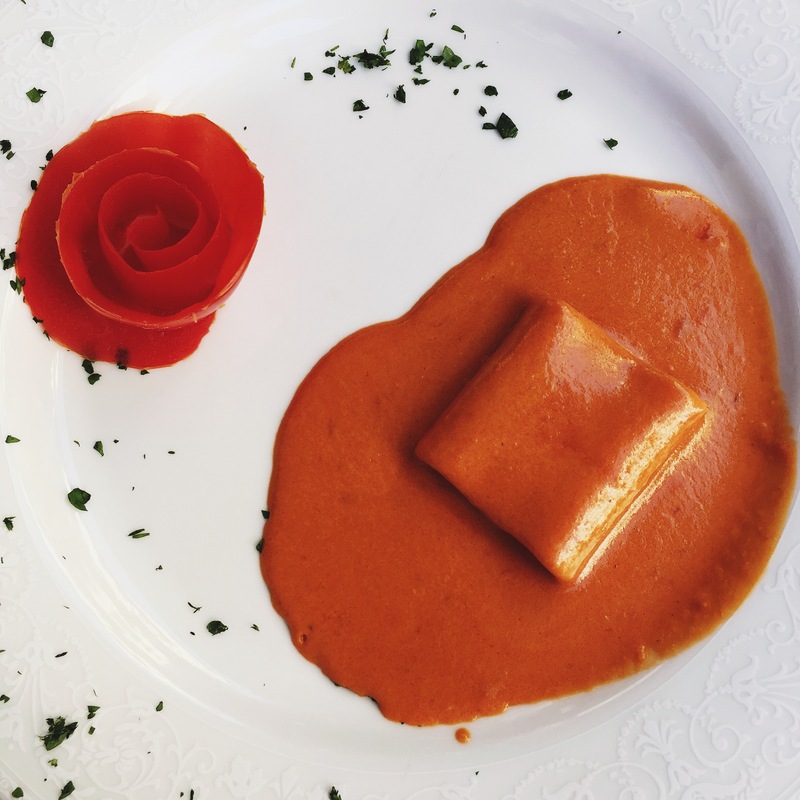 For a true fine dining experience, you must make a reservation at Il Palagio. 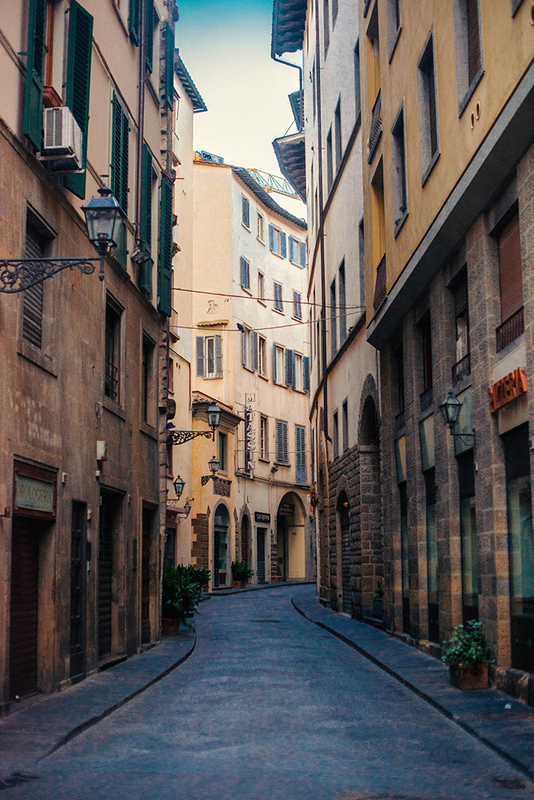 This spot is located within the Four Seasons Florence, which is worth a visit regardless. It’s a stunning hotel! 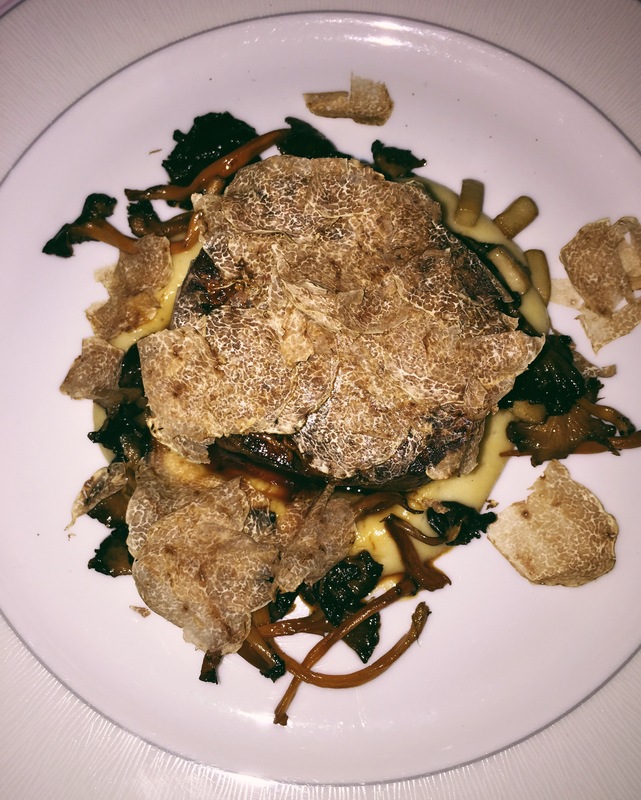 The menu is exquisite – I got my truffle fix at this place. I ordered the truffled parmesan risotto, followed by the truffled filet. Too many truffles, you say? Never. A taste of Il Profeta’s most popular pasta. The hole-in-the-wall that is Buca Dell’Orafo. Pizza for lunch at Gusta Pizza! 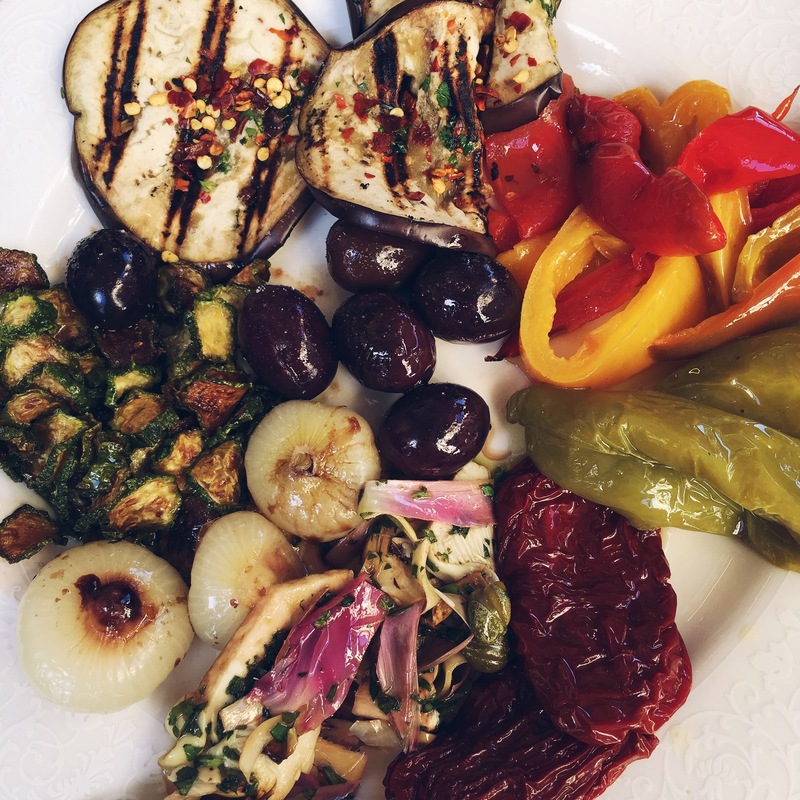 The vegetable plate at Il Profeta. Truffle-topped filet at Il Palagio. Truffle pasta at Il Profeta. Sliced filet at Buca Dell’Orafo. On our first full day in Florence, we started with a private tour of the famed Uffizi Gallery. 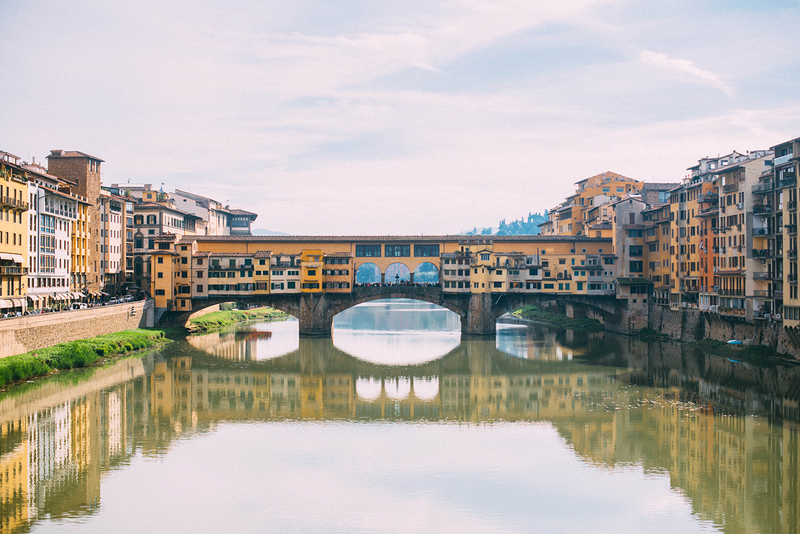 In addition to the part of the gallery that’s open to the public, we were able to walk down the Vasari Corridor that stretches along the Ponte Vecchio – this was actually created for the royals to be able to walk across the bridge without encountering the public. It was turned into a private portrait gallery later on. This was my favorite part of the gallery, so if you do plan to go, get a tour guide so you can access this special spot! The Uffizi Gallery private walkway exited out into the Biboli Gardens, so once we finished our morning at the Uffizi, we walked around the gardens a bit! 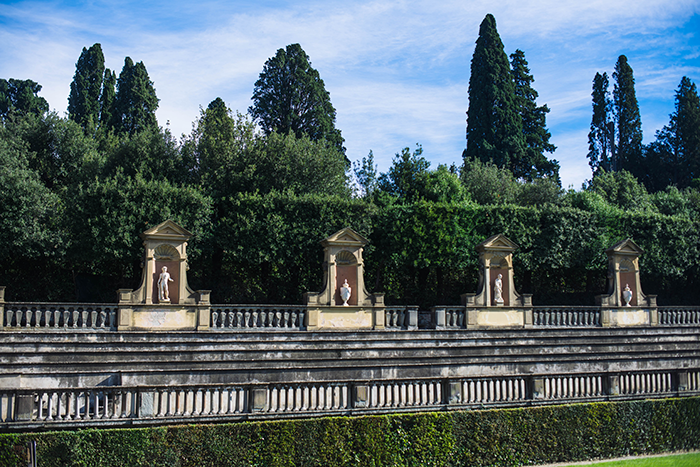 Usually people check out the gardens after a visit to the Pitti Palace, since they are connected, but we decided to do the Palace a different day. The gardens are beautiful! I wasn’t overly impressed with the special exhibit in the palace, but it’s worth going just to visit the staterooms. So stunning! As far as churches go, there are two that are must-visits. 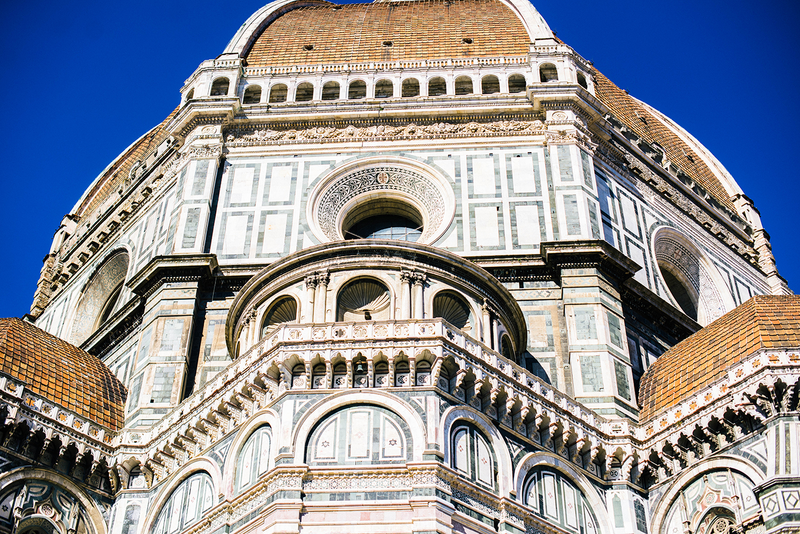 The Duomo and Santa Croce. The Duomo is HUGE. Just walking around the building gives you lots to look at. So gorgeous! 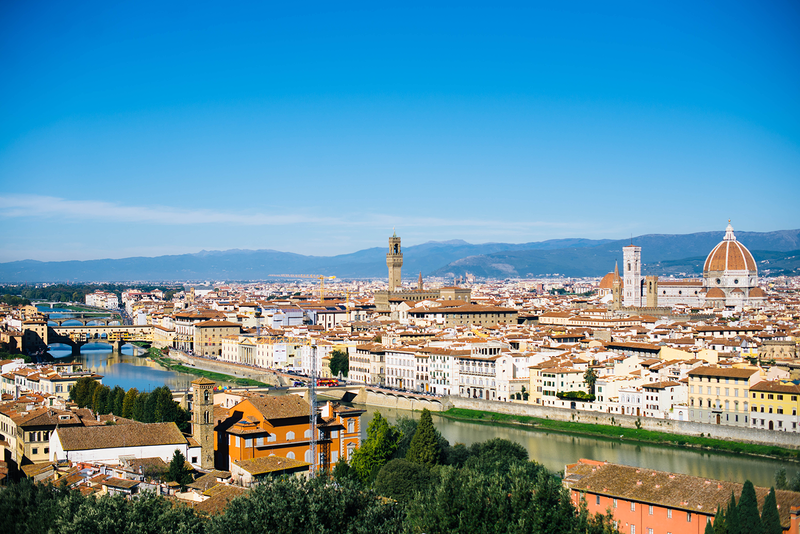 You can also climb to the top of the bell tower and get stunning views of Florence. 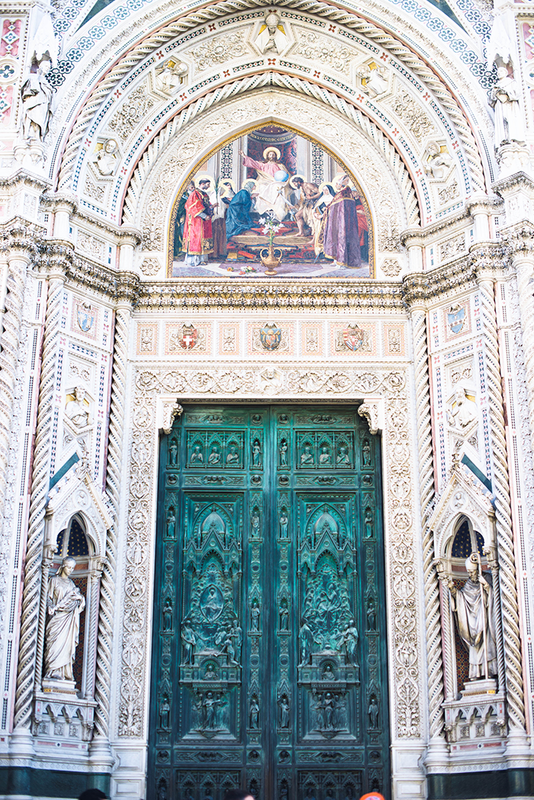 Santa Croce is really neat as well, featuring the tombs of Michaelangelo, Galileo, and more noteworthy names. 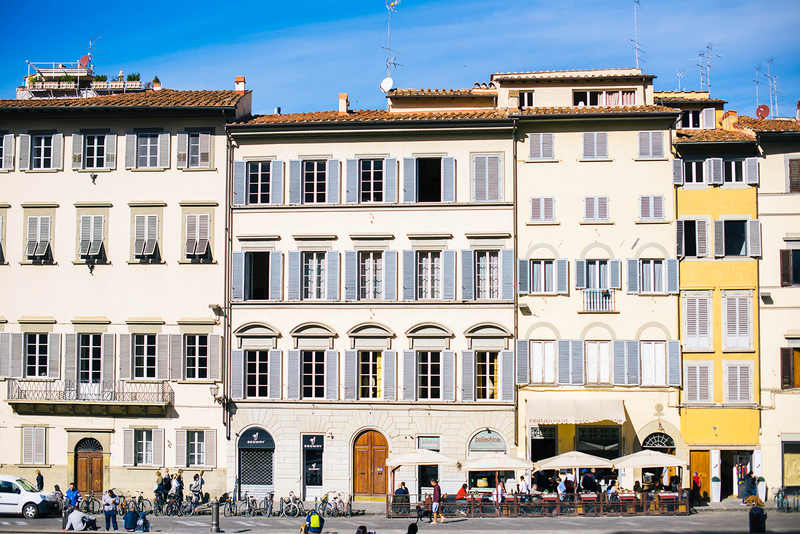 For more views of the city and the original Florence walls, head to Piazza Michaelangelo. This spot is full of tourists, but I thought the views were worth it! This really only took us 10-15 minutes. 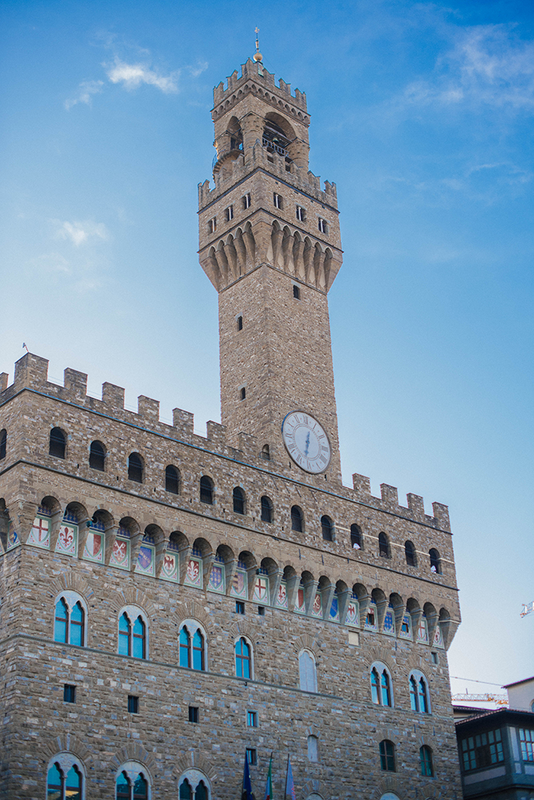 One of my favorite things we did was visit the Palazzo Vecchio. The interiors were incredibly intricate and breathtaking. So many pretty ceilings and impressive works of art. 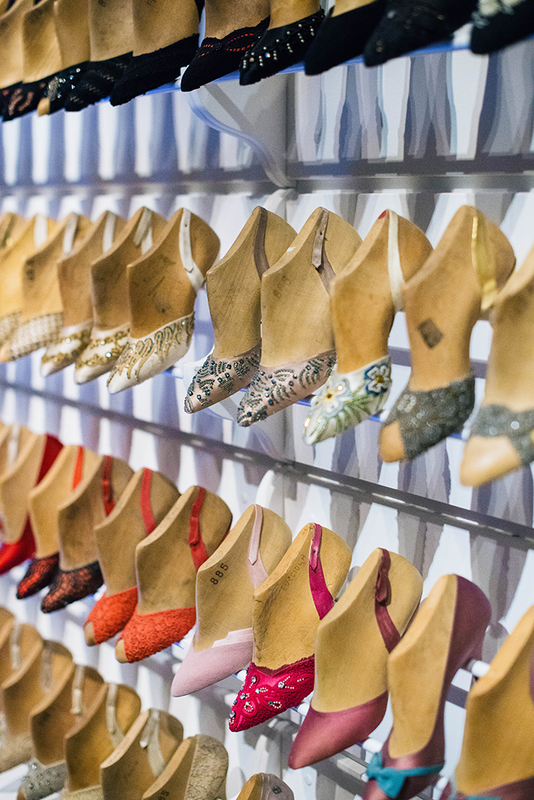 If you’re shopping, head over to Via de’ Tornabuon – here you’ll find all the big Italian designers like Fendi, Prada, Gucci, etc, and you’ll also discover the Ferragamo museum! 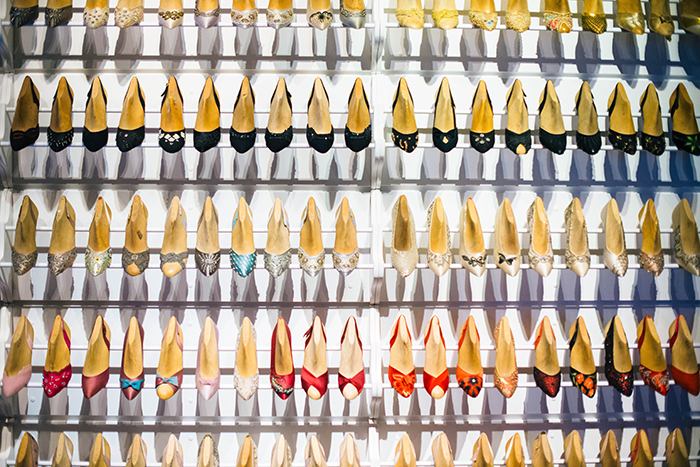 PS: there’s a Dolce & Gabbana Children store and it is too freaking cute. Definitely worth a peek! View of the Ponte Vecchio from the Uffizzi Gallery. Piazza de Pitti (view of the street from the front of the Pitti Palace). 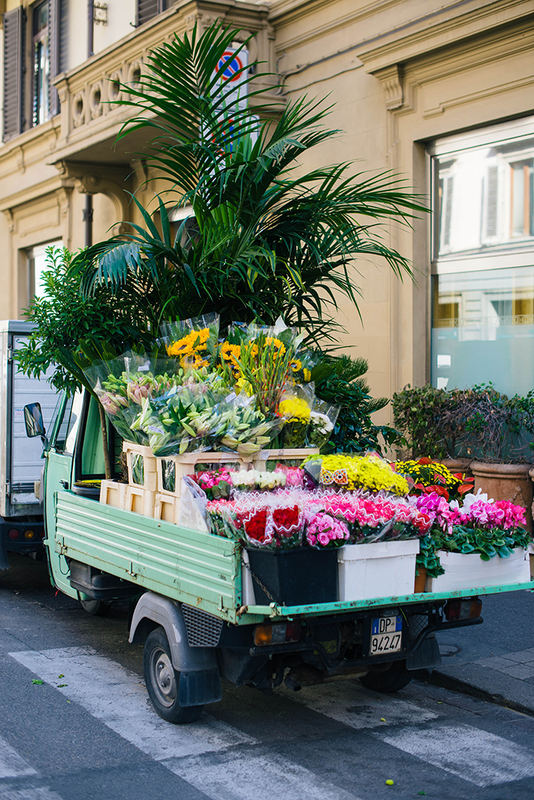 An adorable little flower truck, parked on the street of Borgo Ognissanti. 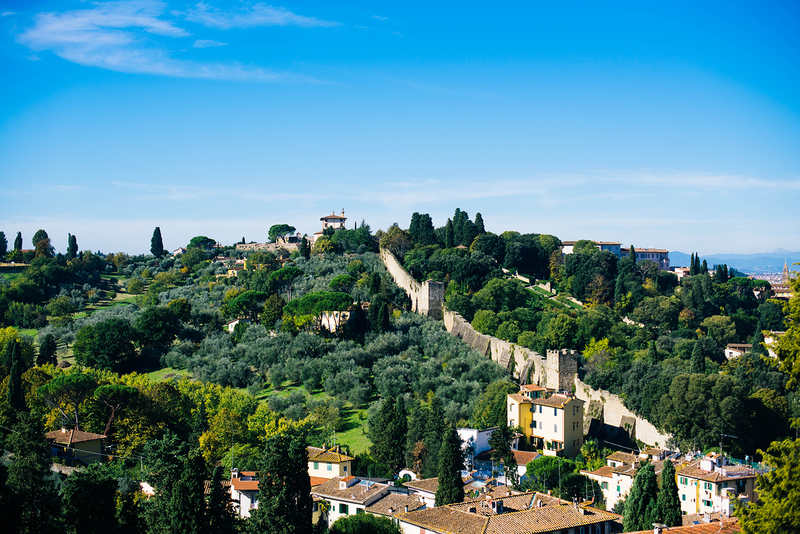 View of the old walls of Florence from Piazza Michaelangelo. 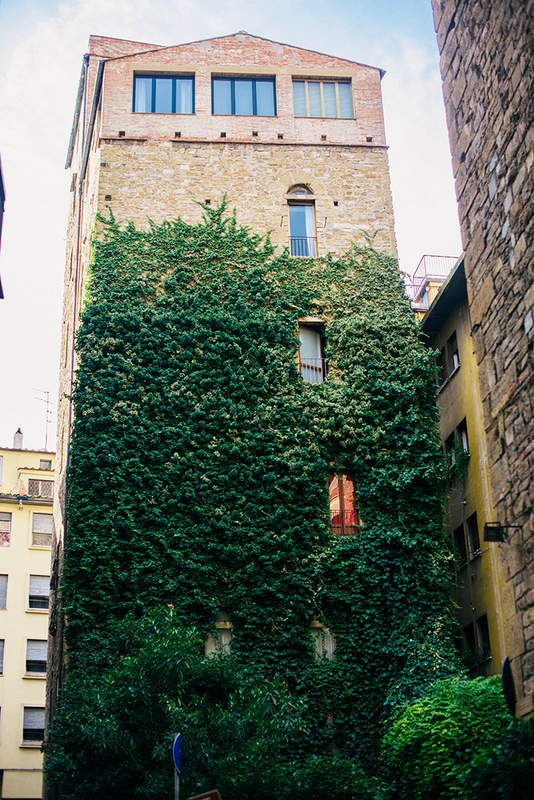 A perfectly charming balcony spot along the Arno. 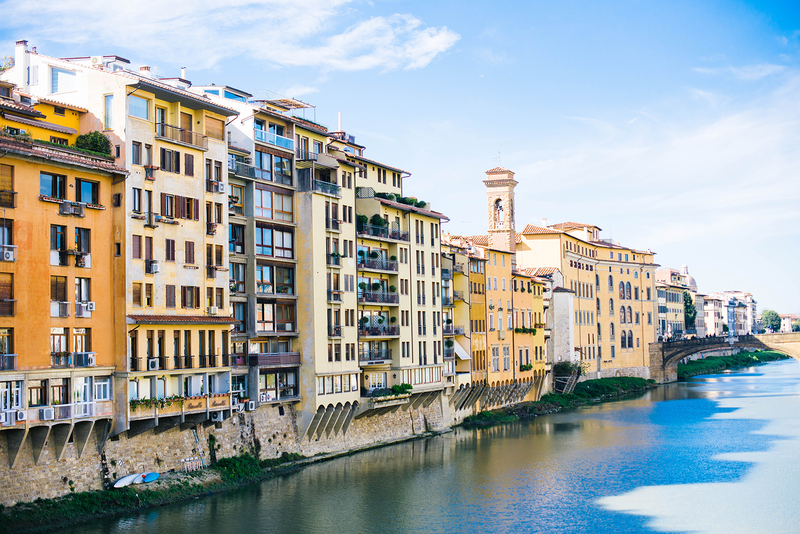 Florence along the river Arno. 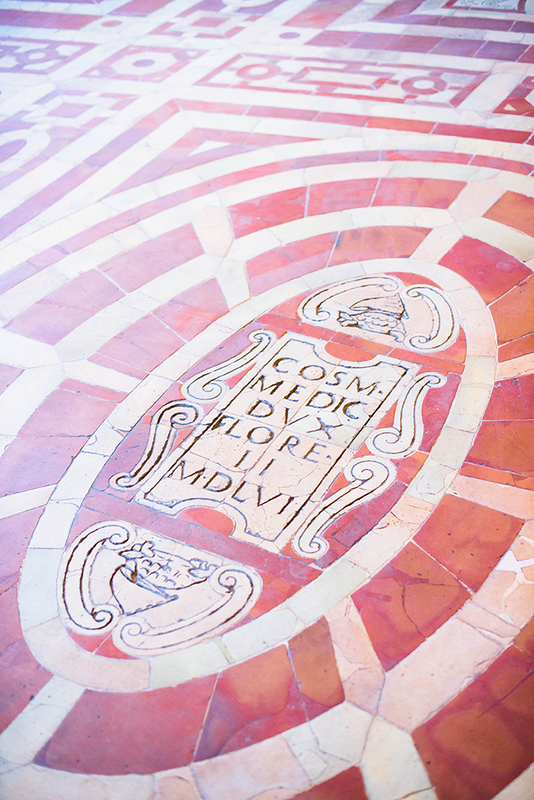 The original floors of the Palazzo Vecchio. View of the city from Piazza Michaelangelo. What beautiful images Merritt! 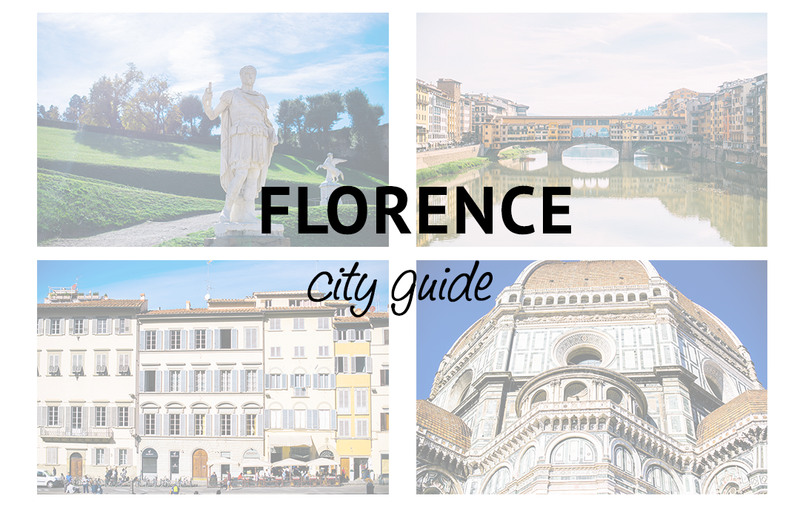 Florence is such an amazing city! 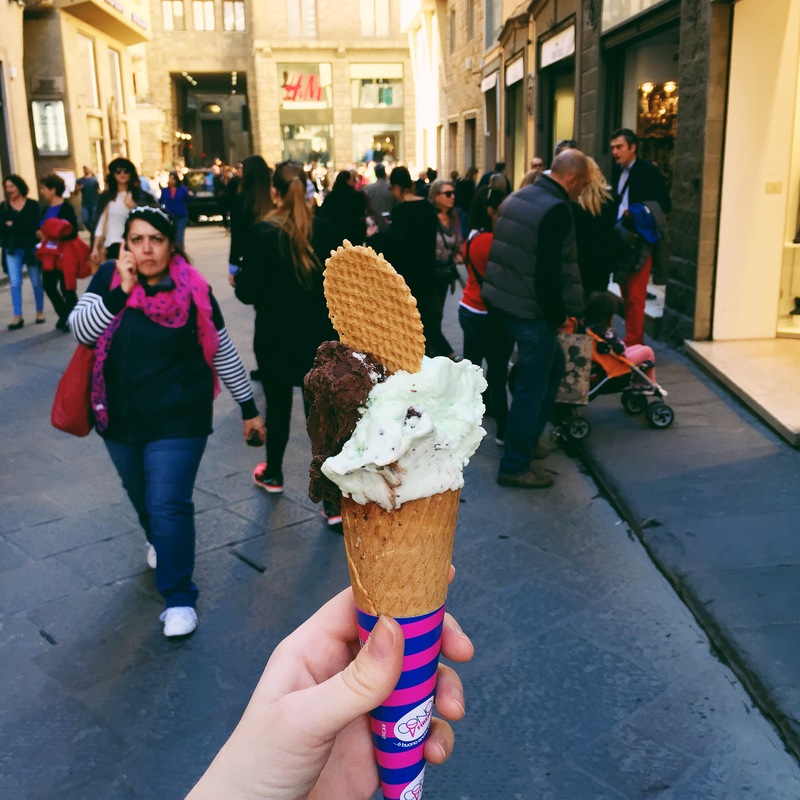 I spent a semester abroad in Florence and loved it, you hit up some of my favorite spots from Gusta Pizza to the Boboli Gardens! 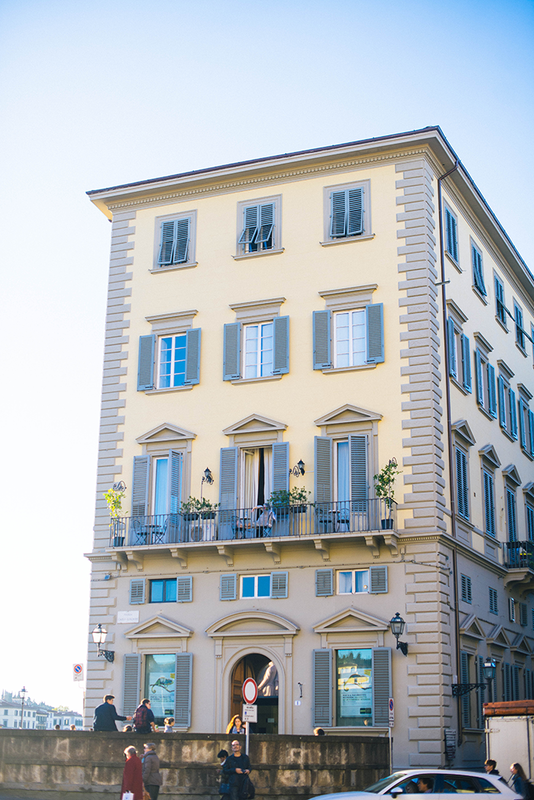 My family and I loved the Four Seasons and also the Lungarno Hotel, both are beautiful! 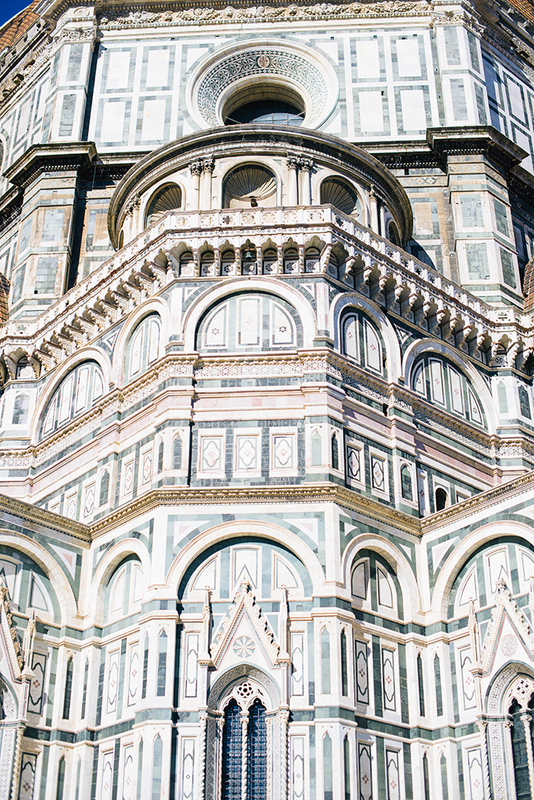 Oh you’re making me long for Florence! Such a beautiful city. Great photos.